RAIDERS OF THE LOST ARK Headed To IMAX | Birth.Movies.Death. You can see two Indiana Jones movies in 70mm this September. Aughh! This is exciting news. Screen Crush has the scoop that Steven Spielberg oversaw the conversion of Raiders of the Lost Ark to 70mm in preparation for its IMAX release next month. 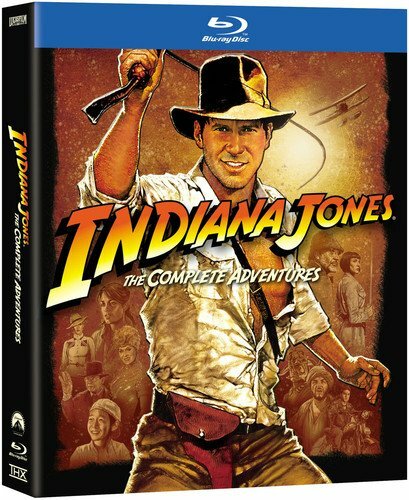 This is in celebration of the Indiana Jones Blu-ray set on sale September 18. And, of course, those in Austin can see Indiana Jones and the Last Crusade in 70mm at the Ritz next month, meaning that that you can see the two best Indiana Jones films (surely no one prefers Temple of Doom? Although that film does represent Indy's peak hotness. We won't speak of that other movie.) in a BIG way in September. My eyeballs are celebrating!